Our Leilani ShowerSpa boldly transforms the ordinary shower into a luxurious shower system! 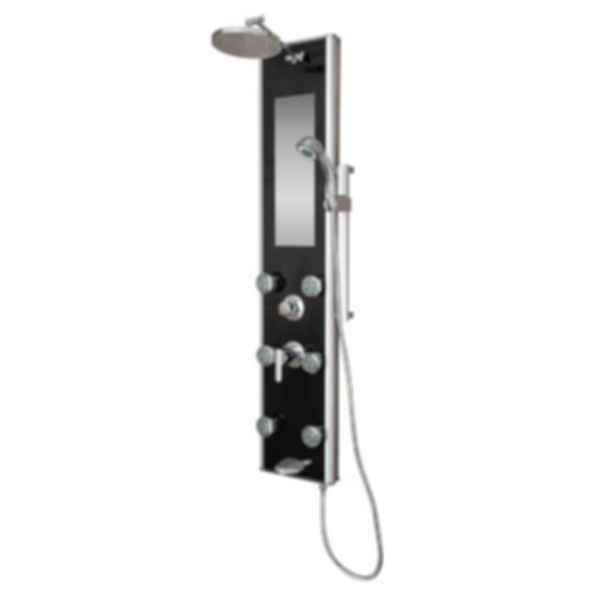 This complete unit has a sleek anodized aluminum edge and black tempered glass panel with integrated mirror that make it both stylish and durable. Enjoy fingertip control of the four functions via the built-in brass diverter. 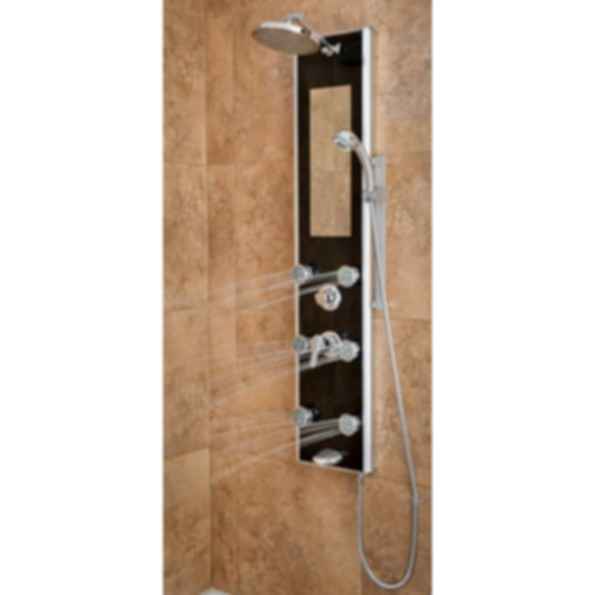 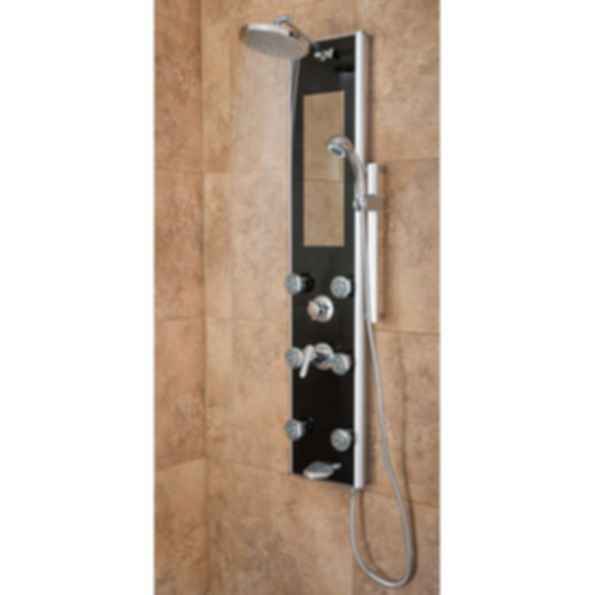 Featuring an 8" rain shower head, adjustable height brass shower arm, six dual-function body jets, a multi-function handheld shower and tub spout. 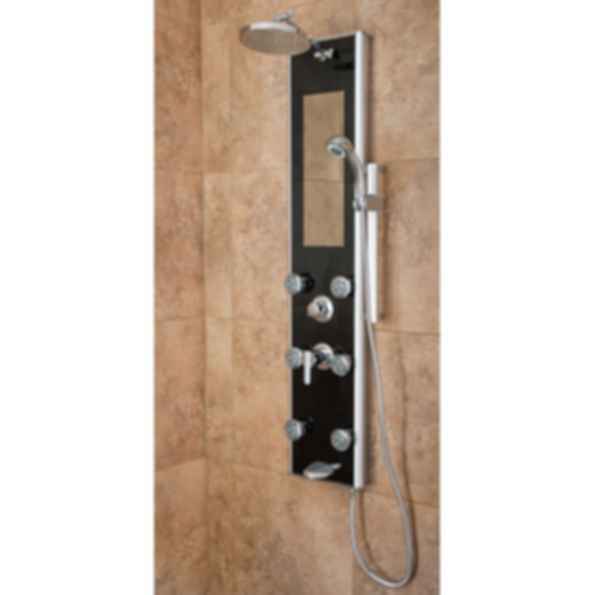 More Products from Pulse Shower Spas, Inc.